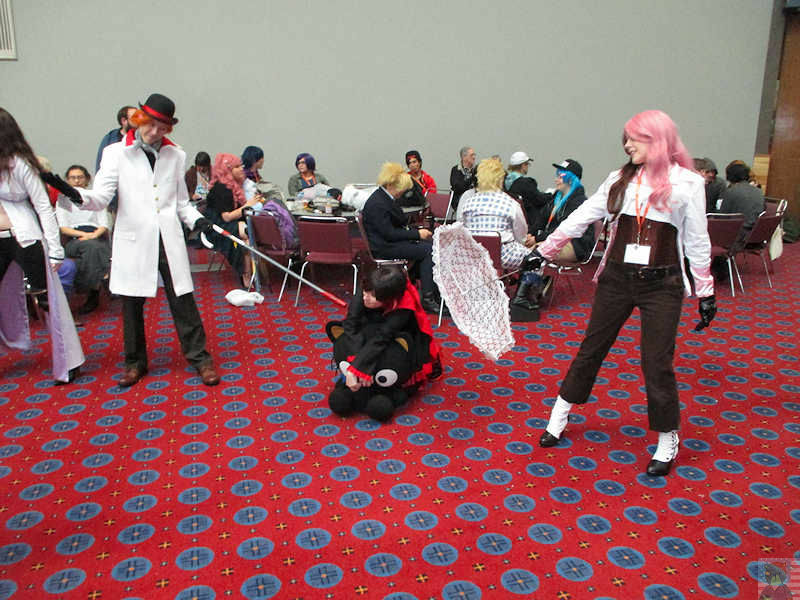 Kumoricon is Portland’s premier Anime convention. 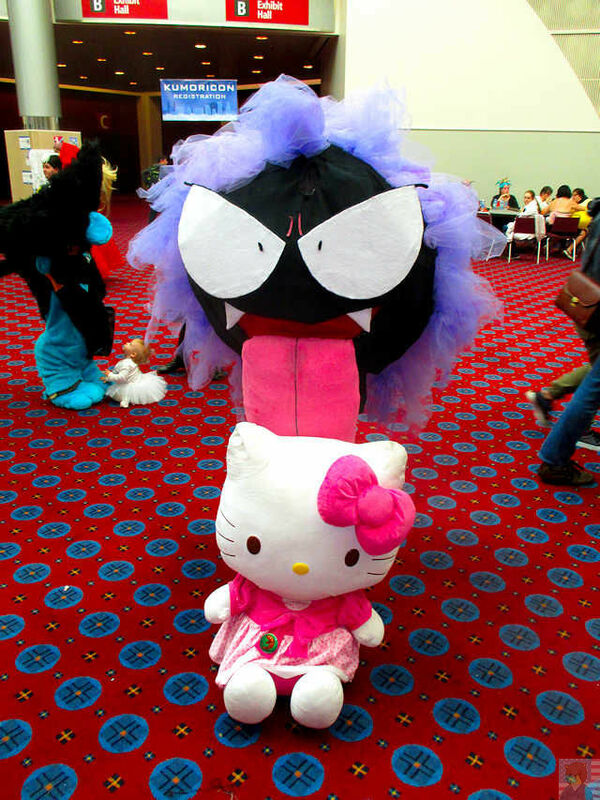 This year, Kumoricon became the second geek convention to moved into the convention center. 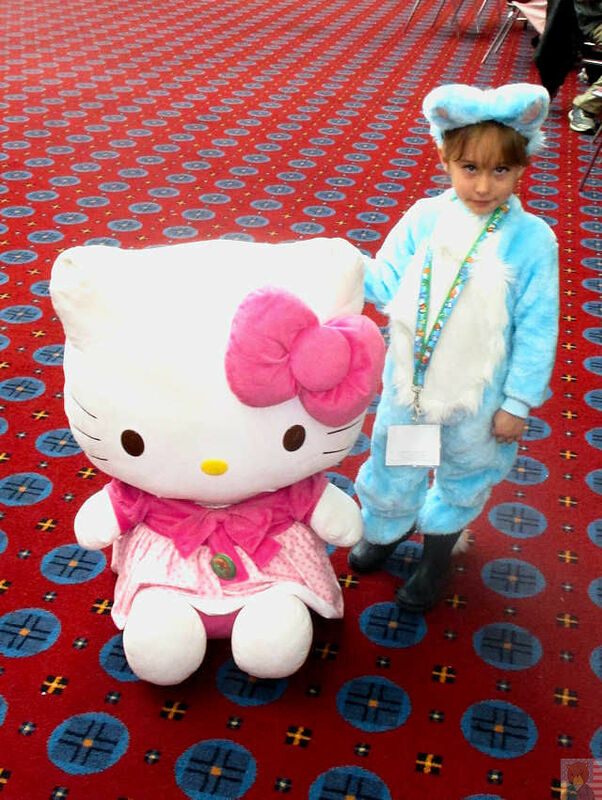 My 26” Hello Kitty was my companion on Friday, My Kigu Kitty on Saturday and Chococat was my companion on Sunday. Because I started a new job, I decide not to take ether PTO or unpaid time off. I picked up my bandage on Thursday. There was not much in the way of panels I wanted to do on Friday so I just hung around until late and went home. Saturday, I got to the convention center 9:00am and straight to my panel room to set up form my Otaku 25+ panel ; we did have a smaller number due to the early morning panel. Fans on the Job, a panel about being a geek and work, was next. Sadly there were only two of us at the panel. Next I was off to one of few industry panels at Kumoricon put on by Studio TRIGGER. 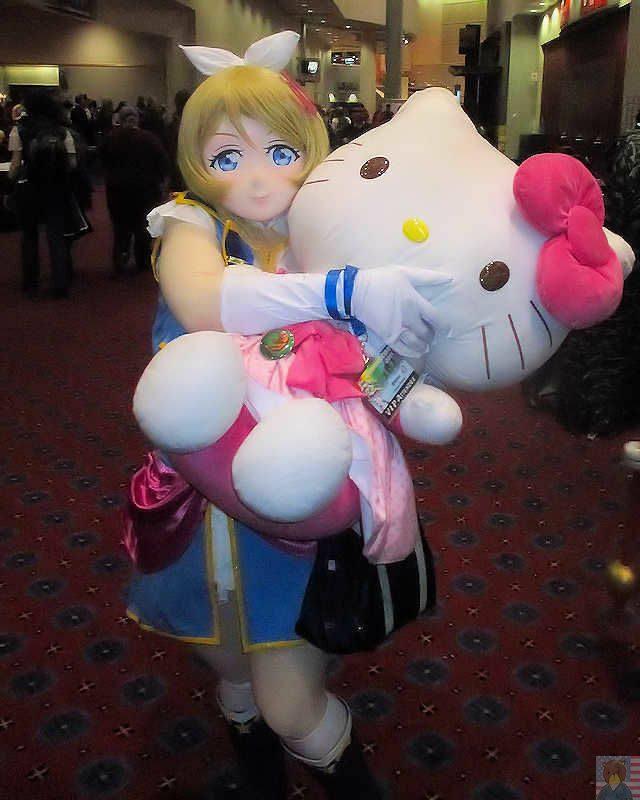 The move to October allows Kumoricon to attract guest from Japan other than the usual Funamtion, Dark Horse, and American voice actors. This year I attended the Coplay contest. Then I heeded out for dinner and got a parking ticket because they changed the rules to prohibit restaurant parking. I went back to the convention center, there was not much in the way of non 18+ panels but I did get to watch ¾ of The Beast and the Boy. I headed home after that. 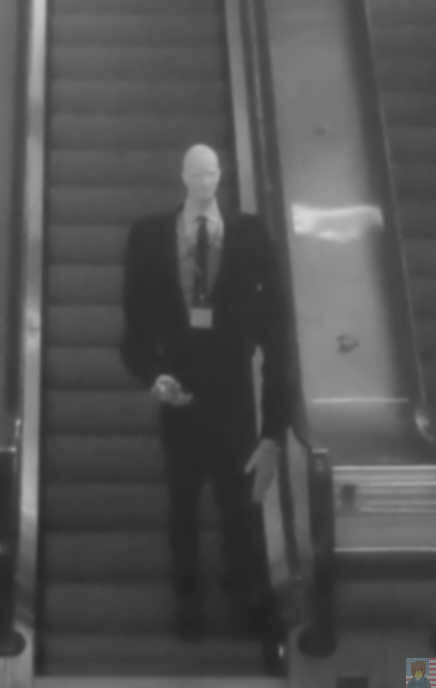 I rush down after church but only found that the Lost in Translation panel was canceled. I just shopped around bought an item , hung around with my fellow furries, and sat in to watch the AMV contest winners and closing ceremonies. I made my way to the rant and rave before calling it a con. Getting a parking ticket; I did not know there tighten the parking regulations near Lloyds’ Center. 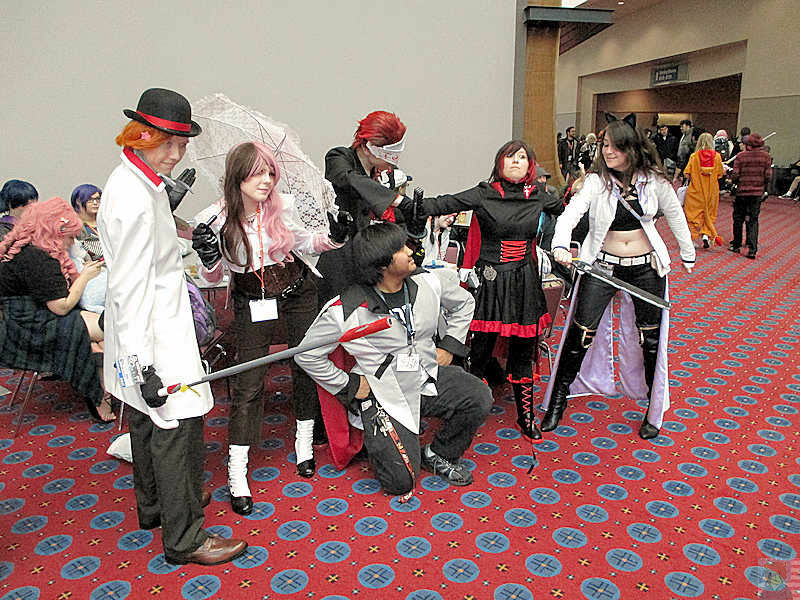 I was one of the skeptics when Kumoricon announced that the convention was going to move from Vancouver Hilton to the Oregon Convention Center in October during a school Year . I thought the convention would have a decrease in attendance. Not only was wrong, the paid attendance grew to 7030. I was pleasantly proved my wrong. All I have to say in congrats Kumoricon. Pictures are under a Creative Commons 4.0 License, go ahead and share them but give me credit and do not ether sell them or use them in a derogatory manor. 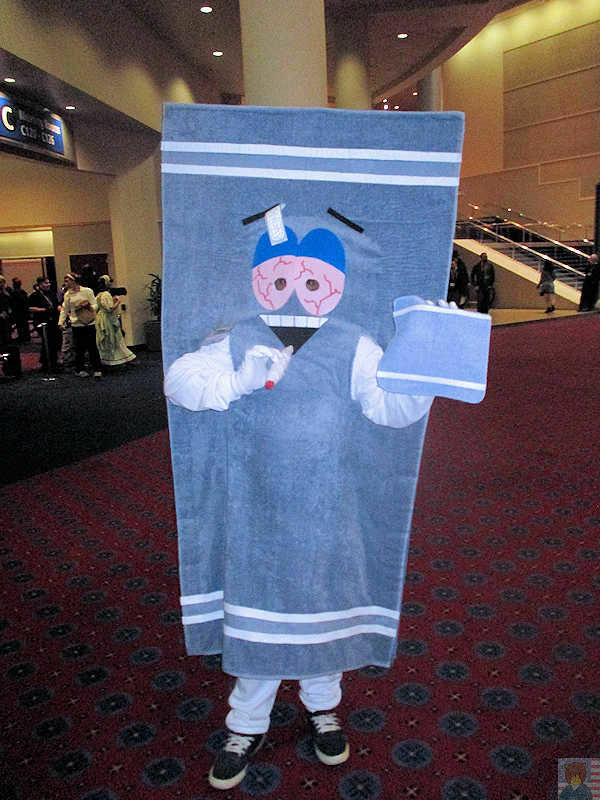 This entry was posted in Anime, Conventions, The Con Game and tagged Kumoricon, Kumoricon 2016, Oregon Convention Center by actonrf. Bookmark the permalink.